SYDNEY, Australia: March 14 2017 – The Interactive Games & Entertainment Association (IGEA) has today announced that Sydney-based independent video game developer and publisher, Nnooo, has joined the association as a member. Nnooo joins Australian games developers, Big Ant Studios and Well Placed Cactus, who have been IGEA members since 2015 and have made significant contributions to IGEA’s policy discussions on behalf of the video games industry. Nnooo has been making games for more than 10 years across a breadth of platforms including PlayStation 4, PlayStation Vita, Nintendo 3DS, Xbox One and iOS. Nnooo has also partnered with PlayStation First and the Academy of Interactive Entertainment to bring the games of talented Australian student teams to the PlayStation platform. “We have worked closely with Nnooo for some time and have been fortunate enough to benefit from their experience both working in big games studios and corporate environments, and now as an independent developer and publisher. We admire the support and guidance they provide to other indie developers and students looking to enter the industry. We are delighted to welcome the Nnooo team to IGEA and look forward to their continued contribution to the industry,” said Curry. Bruce Thomson, Business and Marketing Director of Nnooo, said joining IGEA provides them with additional support, expertise and insight to help nurture and grow local talent. The Interactive Games & Entertainment Association proactively represents companies that publish, market and/or distribute interactive games and entertainment content. IGEA aims to further advance the industry and the business interests of its members through informing and fostering relationships with the public, the business community, government and other industry stakeholders. IGEA is administered by a Board of Directors and supported by the CEO, Ron Curry. To read IGEA’s recent submission to the ECRC’s Inquiry into the Future of Australia’s Video Game Development Industry, click here. Nnooo is a Sydney-based game developer and publisher established in 2006 by Nic Watt, a former lead designer at Electronic Arts in London. 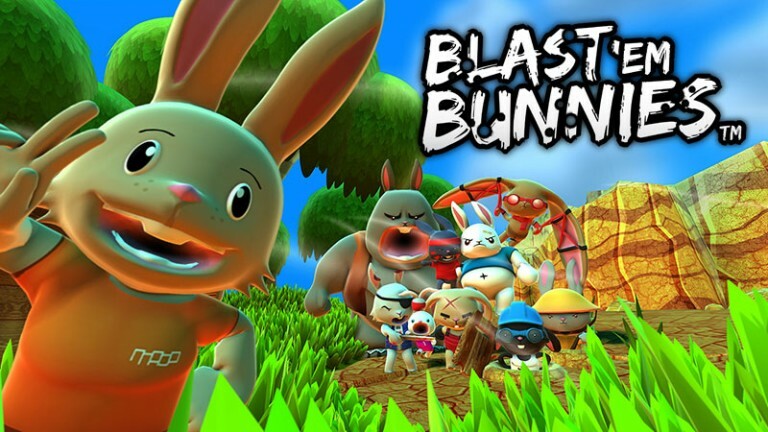 The company’s most recent game was Blast ‘Em Bunnies, an endless bunny shooter for PlayStation 4, PlayStation Vita, Xbox One and Nintendo 3DS. Nnooo published Cubemen 2, the 3 Sprockets’ Steam and iOS hit game, on Wii U making it the first indie title on any Nintendo platform to offer both in-game cross-platform multiplayer and cross-platform user generated content. Nnooo’s most recent published game is The Legend of Kusakari on Nintendo 3DS from Japanese developer Librage. For more information, please visit nnooo.com.